Mr. Pontikis received a B.A., with honors, in 1983 from DePaul University. He received his J.D. in 1986 from DePaul University School of Law. In addition, Mr. Pontikis has been admitted pro hac vice in state and federal courts throughout the country. 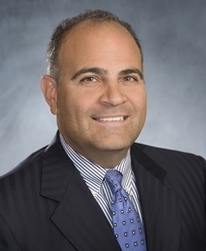 Thomas J. Pontikis is a partner of Lipe Lyons Murphy Nahrstadt & Pontikis Ltd. He focuses his practice on insurance defense, commercial litigation, mass and toxic torts, product liability, construction litigation, professional malpractice and construction defect litigation. Mr. Pontikis is "AV Preeminent" peer review rated by Martindale-Hubbell, reflecting the highest peer recognition for ethical standards and legal ability. Mr. Pontikis has been selected by his peers for inclusion in Illinois Leading Lawyers for commercial litigation, product liability, personal injury defense and insurance coverage/reinsurance. He also has been selected as an Illinois "Top Lawyer" for commercial litigation and personal injury defense civil litigation. Mr. Pontikis was also selected as among Chicago’s Top Rated Lawyers for 2014 in Commercial Litigation and Insurance Law. Mr. Pontikis has more than 26 years of jury trial experience, handling cases in state and federal courts throughout the United States. He has represented numerous clients in a range of industries, including Ford Motor Company, General Electric Company, Terminix, Viacom/CBS and Zurich Insurance Company. Mr. Pontikis has extensive experience in product liability and mass and toxic tort matters, including asbestos, breast implant and welding rod litigation. For example, he has represented General Electric in the Breast Implant Litigation and Welding Rod Litigation in a number of different state and federal venues. Mr. Pontikis regularly consults with a variety of business enterprises on general corporate transactions and other matters, as well as on resolution of internal disputes. In the commercial litigation area, Mr. Pontikis has litigated numerous cases involving breach of contract claims, corporate disputes and corporate dissolutions. Mr. Pontikis has handled licensing issues before the City of Chicago and State of Illinois. He has frequently litigated cases before the Illinois Department of Public Health involving pesticide exposure and petroleum contamination. He works with various state agencies to resolve matters pre-litigation and handles administrative hearings. Mr. Pontikis is an active member of the Illinois State Bar Association and Illinois Association of Defense Trial Counsel.